It only took eight years, but the tablet wars have officially begun. Ever since Apple unveiled its instantly iconic iPad back in 2010, we’ve been waiting for something to challenge it in a meaningful way. And it’s finally come, not in the form of an Android tablet, but a Chrome OS-based one. And the first battleground will be schools. Of course, it remains to be seen whether tablets will ever actually be a thing in schools, but Apple is certainly moving as if it is. About 24 hours after Acer unveiled the world’s first Chromebook tablet, Apple responded with its own Pencil-compatible iPad that matches Acer’s in just about every way: price, battery life, screen resolution, and portability. 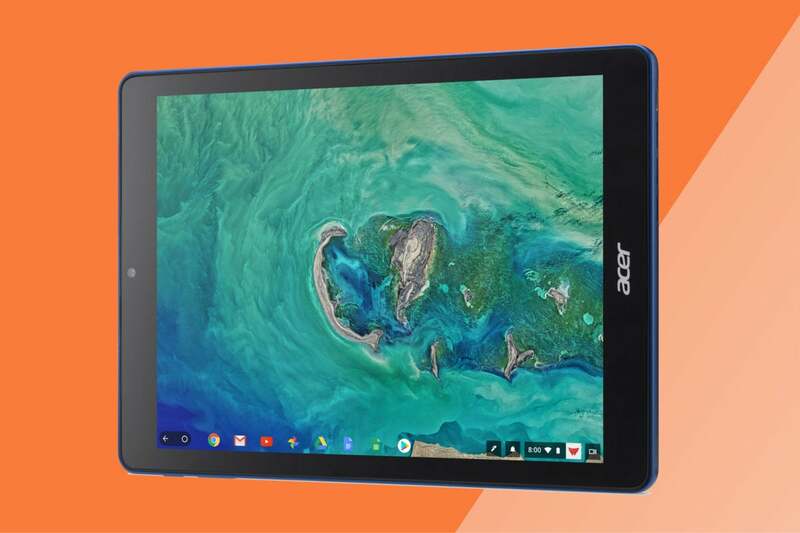 I haven’t had a chance to play with one yet, but on paper, Acer’s 9.7-inch Chromebook Tab 10—seriously, who names these things—seems to be a solid option for districts looking for the touch-screen Chrome experience without the bulk of an attached keyboard. It even looks a lot like the iPad, if not for the ugly reflective Acer logo on the front of the Chromebook where the Touch ID sensor is on the iPad. Acer’s new tablet doesn’t run Android, it runs Chrome OS. And that's where the differences begin. Even if a slew of dirt-cheap Chromebook tablets start flooding the shelves, Apple has a quiet advantage with the iPad that might give it an edge over models that cost hundreds of dollars less: privacy. 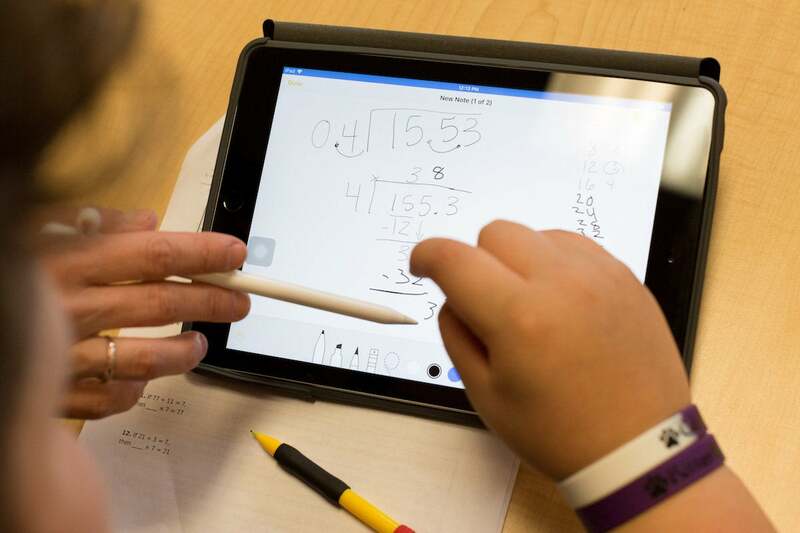 In a world where all devices all pretty much do the same thing, Apple’s leverage with its new tablet has less to do with what it can do and more to do with what students do with it. And it’s an area where Apple is poised to lead the conversation, both in and out of classrooms. It’s no secret that Apple has lost major ground in the classroom to Google. 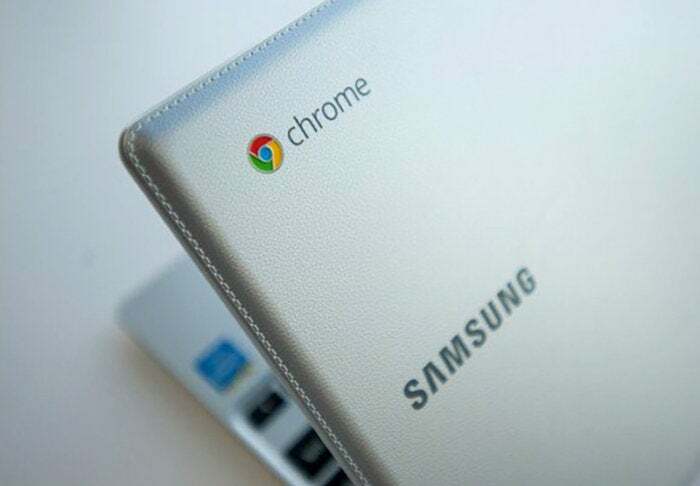 While many students might have an iPhone or iPad for personal use, most schools have opted to outfit their schools with more traditional Chromebooks mostly due to their lower prices. Chromebooks like the Acer Flip offer a middle-ground between a tablet and laptop at a cheap price point. But even without the price gap, Chromebooks represent the best of both worlds for schools. 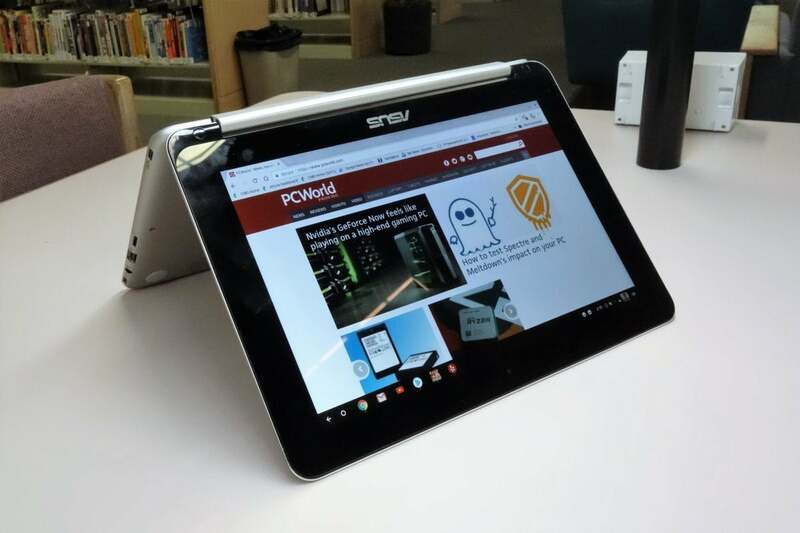 Straddling the line between laptop and tablet, Chromebooks offer a uniform experience across all devices with full-sized keyboards, touch-sensitive screens, stylus support, and a mix of Chrome and Android apps. The best Chromebooks are both powerful and versatile enough to replace a tablet and a laptop, and they’re still light enough to comfortably carry in a backpack. Plus they won’t shatter if they’re dropped on a cafeteria floor. Thanks to strong sandboxing and an inability to install outside apps, they're also safer than PCs and Android tablets, since nearly every access point for system-level malware is closed off, much as it is on the iPad. And constant security and stability updates from Google mean that machines stay up to date. However, since the hub of every Chromebook tablet is the Chrome browser, the potential for attacks—either through malicious ads or extensions—is always there. Google works quickly to remove bad actors from its Chrome store, but the threat is real and isn’t going away. If anything, it’s only getting worse as Chrome OS spreads and hackers device more sophisticated ways to attack it. Chromebooks may be more secure than PCs, but they’re still more vulnerable than iOS devices. With Chrome OS, extensions are central to the experience, and even with a low percentage of rogue ones can wreak havoc in schools. Everything is siloed on iOS, an important distinction for schools and one that Apple should be trumpeting in its sales pitch. Apple took its share of shots at the quality of web apps during its Field Trip event, but the real advantage of using an iPad isn’t just the strength of its App Store, it’s its complete reliance on it. The new iPad would have been a heck of a lot more attractive to schools with a $250 price tag rather than a $300 one, but Apple has more to offer students and teachers with the new iPad than Pencil support and a pretty design. iPads aren’t just built to last, they’re built to safely store and transfer your most sensitive data without needing to set up secure folders or fiddle with any settings. As Steve Jobs used to say, it just works. Apple’s iPads have the same level of privacy inside and outside of schools. Security isn’t just about keeping your device safe from attacks, it’s also about keeping your personal information free from companies who want to profit off it. It’s one of the things that distinguish Apple from Google, so much so that it’s probably responsible for the slow development of Siri. Apple wants its customers to know that their data isn’t just encrypted—Apple and app makers won’t see it either. While Google might not be actively using Chromebooks in schools to actively track or spy on students, a recent report by the Electronic Frontier Foundation found that “educational technology services often collect far more information on kids than is necessary and store this information indefinitely.” That’s not a result of Google being nefarious but rather a symptom of how Chromebooks operate through the Chrome browser. And it’s a problem that will only be amplified with the launch of tablets. 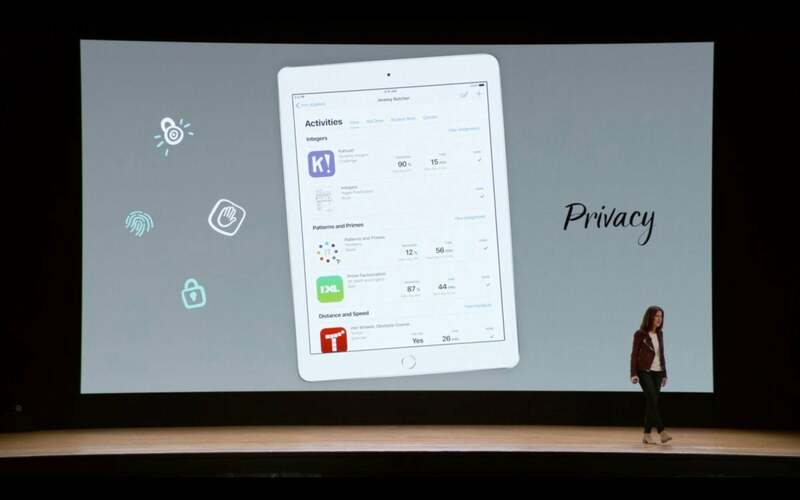 Apple’s new education apps come with a big selling point: privacy. That shouldn’t need to be said, but it is. With the Facebook flap dominating the news, privacy is fast becoming the most important buzzword in tech, and Apple was ahead of it long before today's headlines. And it’s constantly tightening the screws. In iOS 11.3, Apple has added an icon to clearly inform users when one of its own features is requesting use of your personal information. And Bloomberg reports that it will also be rolling out new Apple ID management features that let users download all of the personal data Apple stores and allow them to temporarily deactivate or completely delete accounts. With its search business and the Chrome browser, Google isn’t just targeting users with ads, it’s targeting the user for ads. At least some information is available for mining every time you sign into your Google account, even if Google promises to not do it in schools. It comes back to the setup of the system: Since most of what you’ll do is through the Chrome browser, ads and search tracking are of even greater concern. With an iCloud account, your data is for your eyes only. That’s not the case with an iCloud account. While a Google account may offer a higher level of integration with a broad range of apps and services, Apple offers the promise that none of your data—whether you’re talking to Siri or snapping a pic of your bestie—is tracked or otherwise collected by Apple or third-party apps. And with the iPad’s classroom-based apps, students can go a whole day without ever seeing an ad. For some schools, that might be worth more than a lower price, especially as the battle over privacy ramps up. Privacy as a concept is a tough sell. Most users are willing to accept some trade-offs for ease of use and simple set-up, even if schools aren’t. and Apple still doesn’t have a true alternative to Google’s G Suite (which is free to schools). 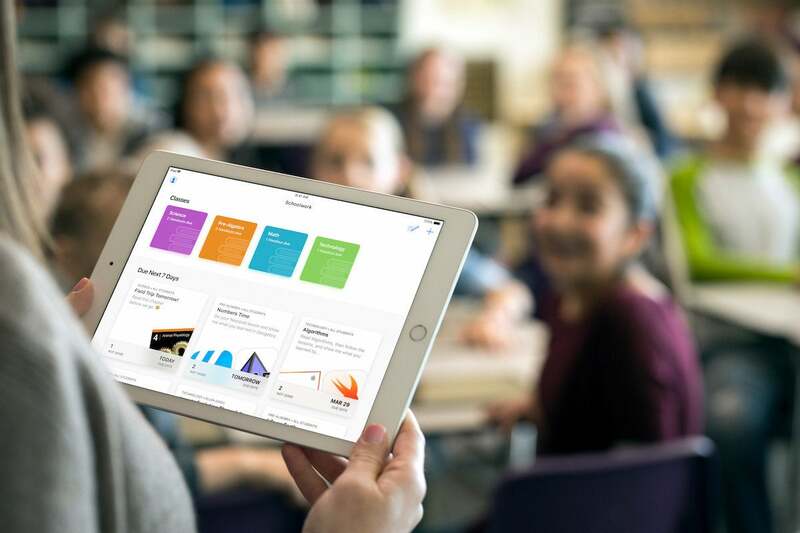 As an incentive for schools to adopt iPads, Apple is giving students 200GB of free iCloud storage, but the tools for collaboration and interaction outside the classroom aren’t as fully baked as the ones inside it. A couple hundred gigs of iCloud storage are great for accessing files and projects on a school-issued iPad, but what happens when a student wants to use their own Mac? Google offers a robust set of classroom management tools for free. By failing to implement a full system that encrypts and stores student’s data in the cloud, it’s missing a chance to truly challenge Google and Chromebooks on privacy. Apple is making a strong case for hardware-based privacy, but most schools will still need a cloud management system, which will more than likely be G Suite. Google’s biggest advantage inherently puts student’s privacy at a disadvantage compared to iPads, since most of them will be using Chromebooks to access their G Suite accounts. Apple’s reinvigorated push into schools might begin with a new iPad and a high-priced stylus, but the story shouldn’t end there. 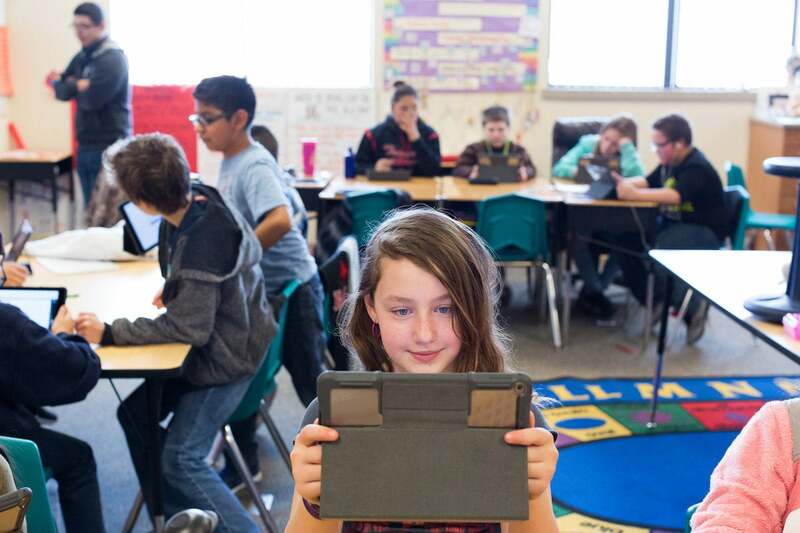 While laptop-style Chromebooks may have an insurmountable lead in the classroom and it's unlikely the new iPad will do much to catch up, the tablet battle is only just getting started. And Apple’s commitment to privacy could be its best way to win.